Finally I’ve finished this project. 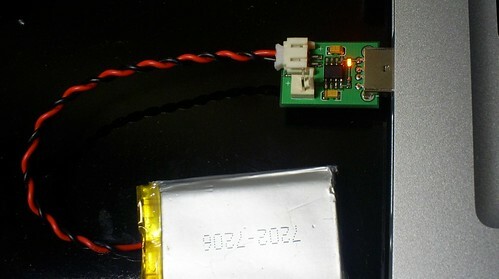 It’s a USB Charger for Lithium Polymer Battery, that’s very compact and high powerful batteries that I use in most of my projects. 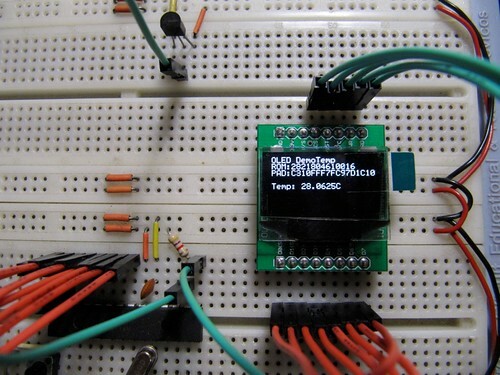 In my recent GUI Bot project I’ve used the famous MAX1555, a greatest IC in a tiny SOT23 package. One thing about MAX1555 that I don’t like is the current limitation it has (about 100mA). I know it’s for USB low speed compatibility, but who knows someone that don’t have a high speed USB host surround? Because that I use the greatest MAX1811. It’s a great IC too, but can deliver up to 500mA! See one of my first post to check more details. If anyone like this circuit, email to lubiana@gmail.com. They help me with USB development. The low pin count don’t became a problem because most of times, my projects don’t use all them (in case os PIC18F4550 or PIC18F2550). 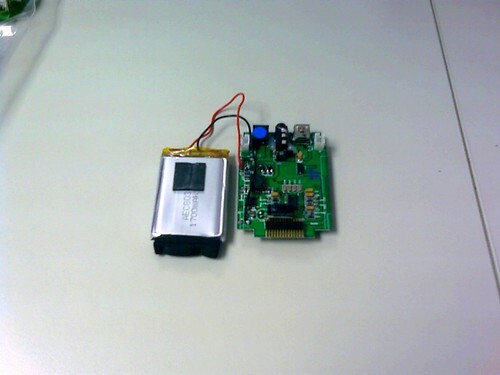 Microchip develops a kit, called “Low Pin Count USB Development Kit” to present this chip. 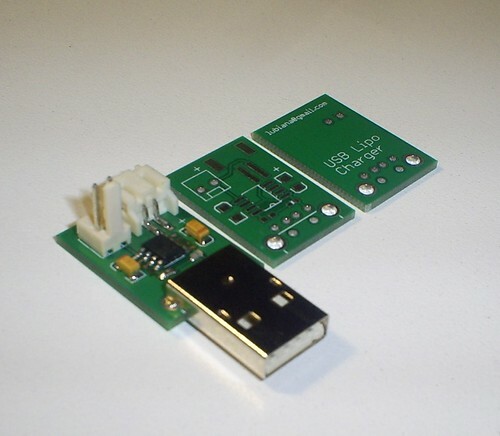 But the Microchip kit have dimensions, don’t very suitable to work like a real USB peripheral. So I design a little board, with minimum parts to make it work. The board is a first prototype, a experiment. 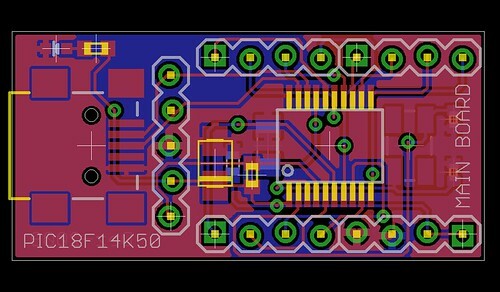 If works, I’ll improve it with more polish design and features, and design one with PIC18LF14K50 for 3.3v native support and etc. 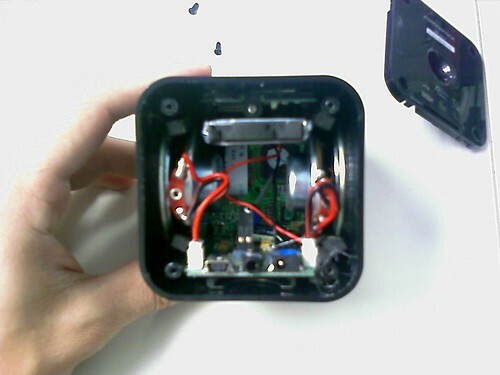 MP4 Powerpack – LiPoly Charger Hack – Part 2 (and final)! In this post, i show that in many cases, the solution is just a simple change, without any new circuit. I was surprised with the solution… and maybe you be too. 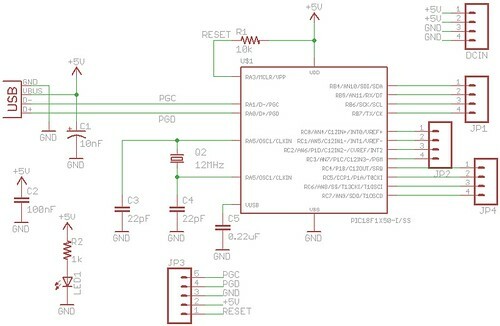 The circuit of the power and charger stay above, end the first thing that pay attention is that the diode arrange in the first stage has a function of isolate the USB power and the wall adapter power. 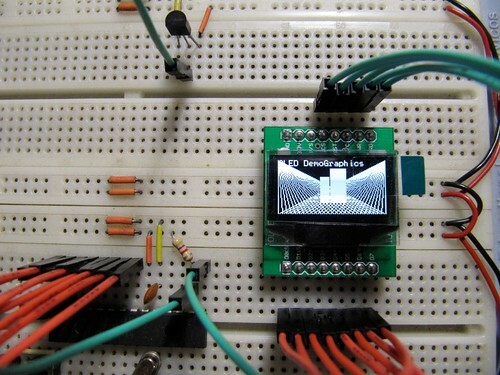 Then, I put a jumper between the pins of D202 diode and test it…..Shazam! Worked! For now, the solution it’s OK! 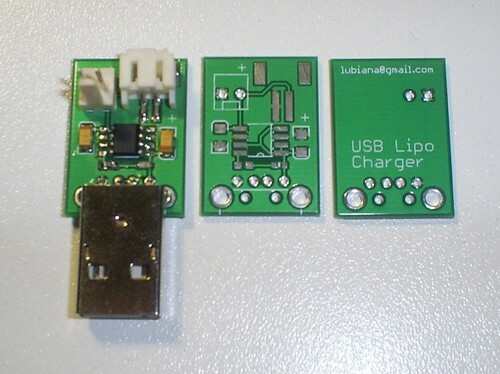 MP4 Powerpack – LiPoly Charger Hack – Part 1! In my last travel to São Paulo, i bought a MP4. 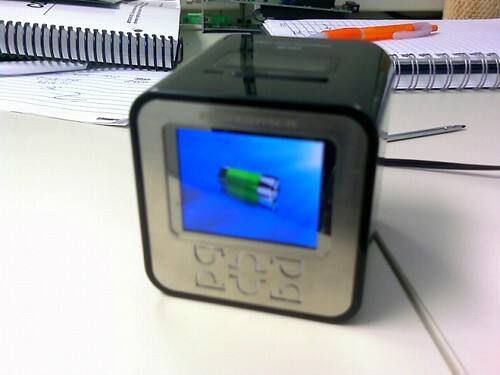 It’s a “MP4 with 1GB internal flash, SD expansion slot, Aux. Input and… FM radio“. I don’t understand why the hell they make a device like it without this primary feature, but i understand that it’s a great opportunity to hack it! 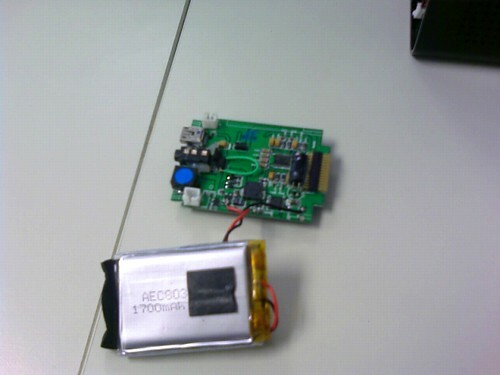 The next step (Party 2) is obtain the schematic from the board.